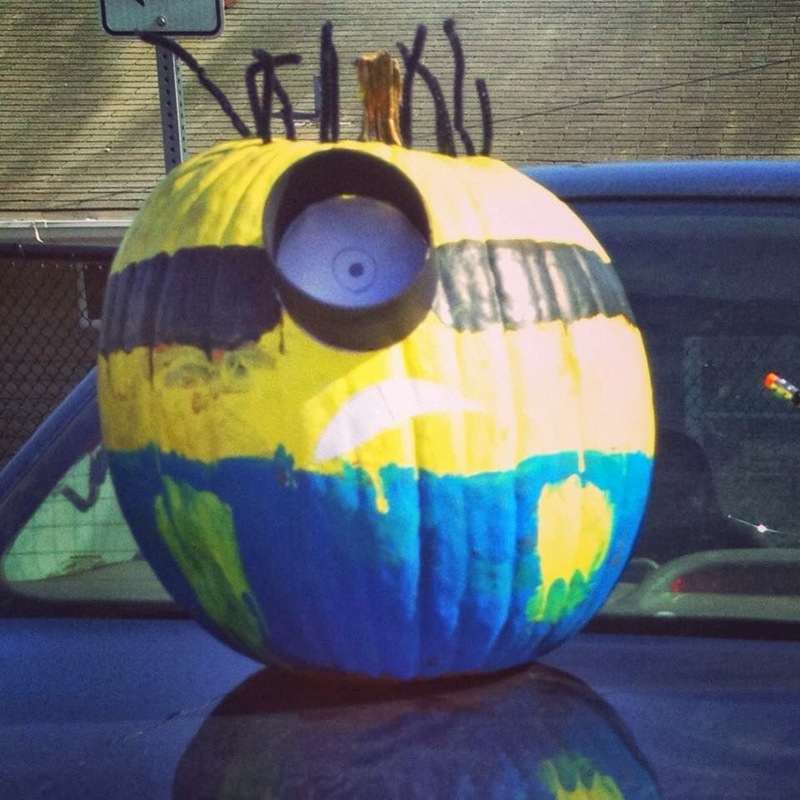 We of course had to make some Despicable Me pumpkins to go along with our costumes! 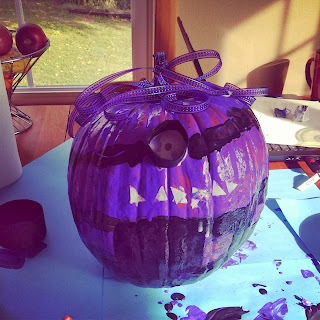 :) My daughter had fun creating the purple one. 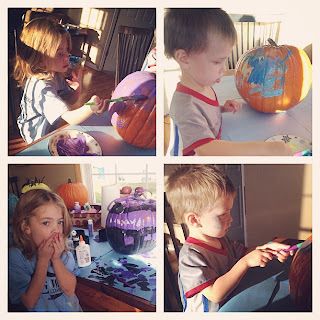 My son was enjoying painting his pumpkin. We sure had a big mess when we were done but they all turned out awesome.